The Fraxel laser uses points of light to precisely treat thousands of microscopic areas of your skin. This treatment penetrates deep into the skin to remove old, damaged skin cells, which leaves your skin with a healthy, youthful glow. We have found that the Fraxel Re:Pair Treatment has been very effective in tightening skin, softening deep wrinkles, all while dramatically improving the texture and appearance of your skin. This procedure takes approximately 15 minutes to 1 hour depending on if you are having laser around your mouth, or your full face. Typically, Dr. Hobar performs Fraxel Re:Pair Treatment in a operating room setting. This can be done as a stand-alone procedure or may be done in conjunction with other facial procedures, such as, facial rejuvenation, brow lift or eyelid lift. 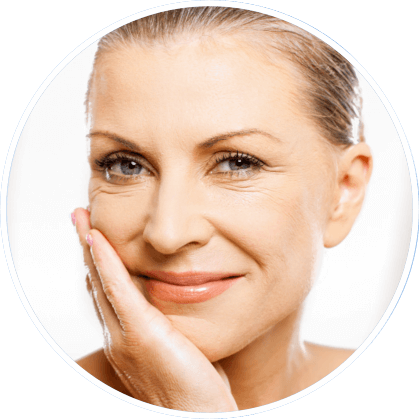 Fraxel laser treatment can be repeated if necessary; however, you may find that one treatment will produce the results you have been looking for. Following this procedure you may expect to have reddened skin tone – much like a sunburn – anywhere from 24 hours to one week after you have Fraxel laser treatment. You will be placed on a skin care regimen 2 weeks prior and 2 weeks following your treatment, and should be back to wearing makeup within 5 days following your procedure. Our patients have stated this procedure was painless, and experienced very little down time. We have seen very good results, and patients have expressed significant happiness with Fraxel Re:Pair Treatment. While we provide our patients with an opportunity to look through before and after photos of actual Fraxel Repair patients during their consultation with Dr. Hobar, we urge our visitors to view our interactive photo gallery while visiting our website. If you have any questions about Fraxel Repair please send us your questions or call our Dallas office directly at (214) 823-8423. If all of your questions have been answered and you feel confident about taking the next step towards a successful Fraxel Repair procedure you should schedule a consultation with Dr. Hobar today!